Fitness trackers like Fitbit, Apple Watch, on many others have become dramatically more popular over the last 5 or so years, and for good reason. These devices do a fairly accurate job of tracking things like your heart rate, movement, calories burned, and much more. However, as people become increasingly aware of the dangers of EMF radiation from the devices they use every day, they are beginning to question these technologies. From cell phones to laptops, tablets to fitness trackers, the cumulative radiation from all these devices can actually be pretty dramatic. I’ve written articles on all of these devices, including my popular article on the potential dangers of Fitbit radiation, and whether you should be concerned. In that article I go into detail about how much radiation Fitbits emit, what kind, and why you should probably be aware of it. 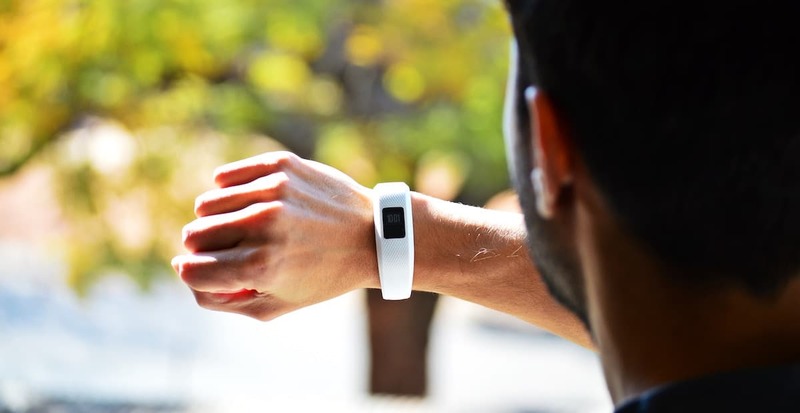 In this quick guide though, I want to outline the Fitness trackers that are available on the market that either don’t have Bluetooth (meaning they emit less radiation), or have a simple way to disable it. I’ll also cover what kind of radiation fitness trackers emit, and why you should take it seriously. Let’s start by just talking about a few of the best fitness trackers without Bluetooth on the market in 2019. All of these below (and I’ll get specific with each one) either don’t have Bluetooth or WiFi, or have a simple way to disable it that I’ll do my best to describe. These allow you to still get accurate fitness tracking features like monitoring your steps, calories burned, heart rate, etc. but don’t constantly emit radiation to stay synced with your smartphone. It’s important to remember though that although it will track all of this information in real time even with the Bluetooth disabled, that you’ll need to re-enable it about once a day so that all the information can be downloaded to your phone and become easily visable. You can however still view this activity on your Vivosmart itself while the Bluetooth is disabled, and it can track it for about up to 24 hours before you’ll want to dump it to the app. The ability to disable the Bluetooth on the device dramatically reduces the amount of EMF radiation the fitness tracker emits, keeping you safer without sacrificing fantastic health tracking features. Make sure that you remember that this device comes by default with the Bluetooth enabled, and that you’ll have to manually disable. Hold your finger on the Vivosmart touchscreen until the menu pops up. This will disable the Bluetooth technology, and you can reenable it by reversing this process. 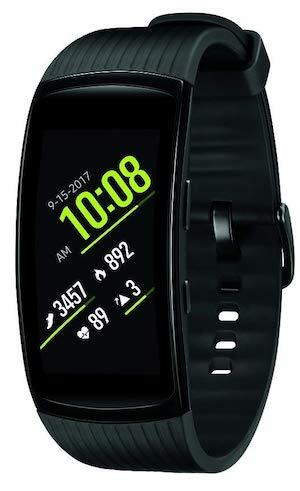 The Samsung Gear Fit is a fitness tracker that you may not have heard of, and that is because it hasn’t always been available in the US. However, this largely undiscovered fitness tracker actually has pretty much everything you would look for, and at an affordable price. Best part about the Samsung Gear Fit2? 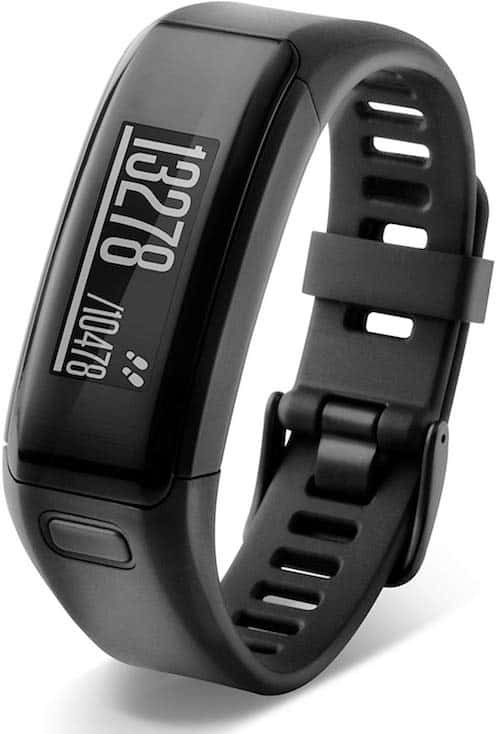 It, along with the Garmin Vivosmart, is one of only a few quality fitness trackers on the market that let you disable Bluetooth and WiFi connectivity, and still track things in real time. Although you may not have heard of it, the Samsung Gear Fit2 pro is certainly one of the lower radiation fitness trackers on the market. Now, we’ll talk about this more down below, but it’s important to mention that these devices will still emit some small amount of radiation in close proximity to your body, even with the Bluetooth connectivity disabled. So, if you’re especially sensitive to EMF radiation, it may be better to not use a fitness tracker at all. Uncheck the box next to Bluetooth to disable it. To reenable it to download the data from the day to your phone, simply check the box again to turn it back on. Alright, now we’re getting a little bit away from the fitness trackers that you usually think of. 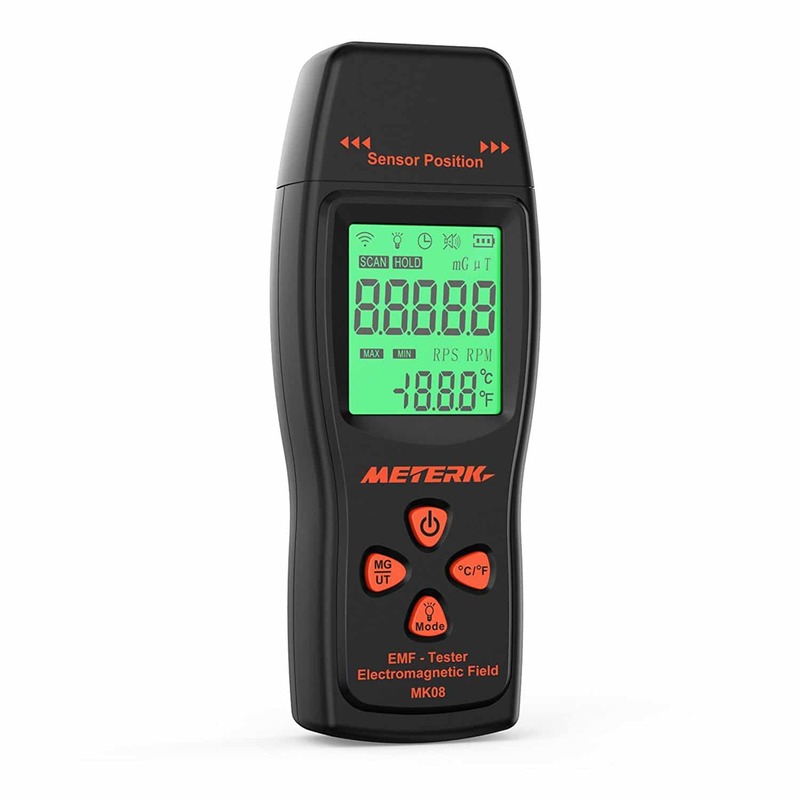 However, if you’re looking for something that will track health metrics, but emits essentially zero EMF radiation, then a pedometer like this one could be a great option. It doesn’t connect with anything via Bluetooth or WiFi, and is extremely simple to use. This fitness tracker doesn’t even require that you have a phone to accurately track your health goals. 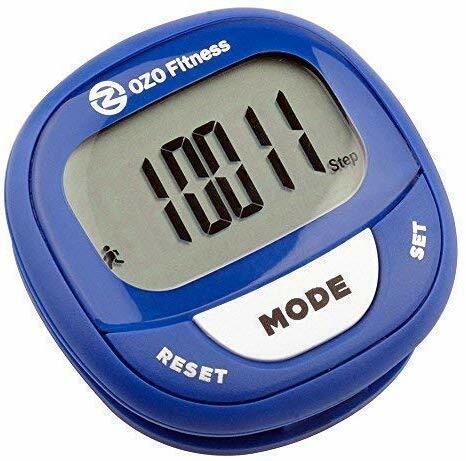 The OZO fitness and activity tracker is extremely easy to program and use, and has a nice large display making it easy to see. It is a clip on, so it’s easy to stick anywhere while you go about your normal day. It’s even small enough that you can easily conceal it in a pocket, purse, or backpack. Alright, now that we’ve talked about what I think are the best fitness trackers that either have no Bluetooth, or have the ability to simply disable it, let’s talk briefly about why this should even be a concern. I’m not going to go into too much detail on this subject in this article, because I’ve already written a huge guide to the dangers of Bluetooth radiation that you can checkout. However, I think it’s important to briefly talk about why you might want a fitness tracker or Fitbit that doesn’t have bluetooth connectivity. First of all, Bluetooth, is just another form of RF radiation, which is a type of EMF radiation. Bluetooth is a technology and a frequency that allows devices to maintain data connection and transfer data in real time. It does this by sending packets of data back and forth between the device, and a Bluetooth receiver usually in a phone or computer. Some may argue that most Bluetooth devices emit less radiation than the government regulatory agencies safe standards for SAR ratings, however, there are a few problems with this. First of all, many experts feel these standards are FAR from what are actually set. They were decided on in 1996 (and haven’t been changed since!) long before most of the technologies we use today were even around. 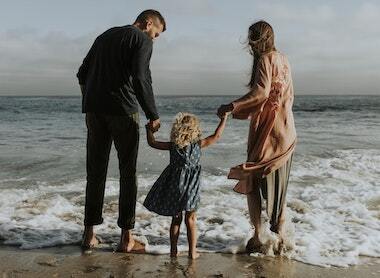 If you read this post I wrote about EMF radiation and fertility, I have a section that goes into details about just how off these SAR standards probably are. One of the main problems, is that the researchers that provided information to the FCC when these standards were being set, only focused on the fact that Bluetooth is non-thermal and non-ionizing. However we now know that even non-ionizing radiation can have negative impacts, especially in close proximity over long periods of time (like in the case of a fitness tracker or smart watch). I know I’m going off a bit more than I planned to in this article, but it’s important to know the potential dangers. The bottom line is that even fairly low amounts of EMF radiation like we are exposed to from Bluetooth devices can have negative effects. Can I Use A Fitness Tracker Without A Phone? Yes, this is completely possible. First of all, you can use a simple fitness tracker like the OZO I mentioned above that doesn’t require any connectivity whatsoever. If you’re going to use a more sophisticated fitness tracker like the Vivosmart or the Gear Fit2 Pro, then accomplishing any kind of tracking without a phone will be a bit more difficult. It’s best to keep Bluetooth off during the day (follow the steps I listed above) and then sync with your phone at night. You can just turn the Bluetooth back on for your fitness tracker, and simply set your phone and fitness tracker together, away from your body, while they sync. If you don’t have a smartphone and want to accomplish this, many fitness trackers like the Fitbit have software that you can install on your computer and accomplish the same syncing of data without an Android or iPhone app. Fitness and activity trackers like the Fitbit, Vivosmart, Gearfit, and pedometers are fantastic technologies for helping us track, meet, and exceed our health and fitness goals. However, if you take EMF radiation seriously like I do, it may be worth looking into how you can accomplish these goals while also limiting your exposure to radiation. I hope I’ve helped you with that today. If you enjoyed this article, I’d love it if you were willing to share it!